Don't know how to export your PowerPoint presentation into a PDF document in Microsoft PowerPoint? 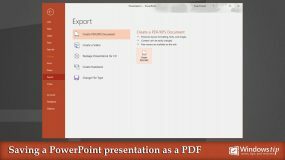 Here is how easy to save your PowerPoint presentation as a PDF document without third-party tools or software. 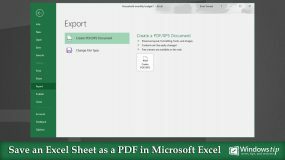 Don't know how to export your Excel worksheet into a PDF document in Microsoft Excel? Here is how easy to save your Excel document as a PDF document without third-party tools or software. Don't know how to export your Word document into a PDF document in Microsoft Word? 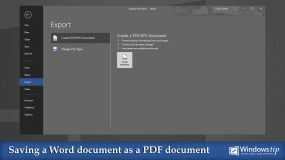 Here is how easy to save your Word document as a PDF document without third-party tools or software. Do you have a Windows 10 tablet or laptop? 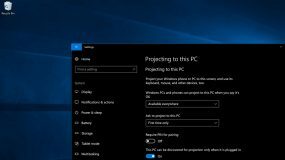 With the Windows 10 latest update allows you to turn your Windows 10 PC into a portable monitor with touch, pen, mouse, and keyboard support. You can now download new themes from Windows Store on the Windows 10 Creators Update. 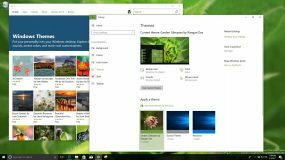 Here how to download and apply a new theme to your Windows 10 PC. 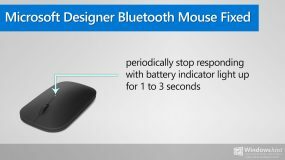 Do you have an unresolved problem on your Microsoft Designer Bluetooth mouse? If your mouse periodically stops responding followed with white light up for 1 to 3 seconds, now you can fix it. 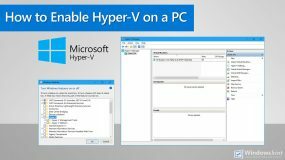 In this tutorial, you will basically know about the Virtualization and how to enable Hyper-V features on your Windows 10 PC.